When you’re shopping for a saddle, we all want to do everything we can to make the experience as productive and painless as possible. Ideally, you’d be able to bring your horse here to us, where we could hand-pick saddles for you and guide you through the process. But what if you live 5 hours away, or even on the other side of the country? 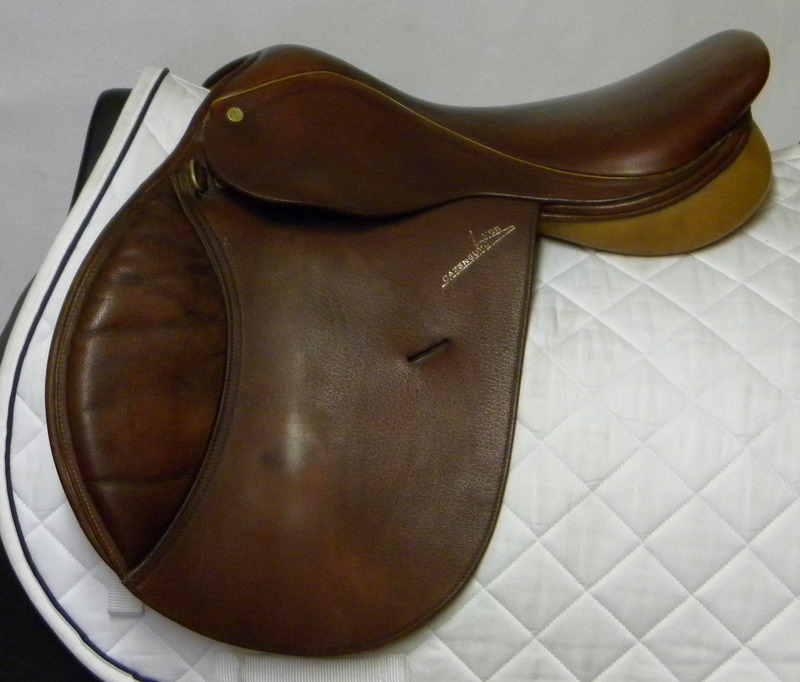 How can you possibly find a saddle that works without trying every saddle we have in the shop? The answer is a tracing of your horse’s back. And the good news is that it’s not as complicated or difficult as you might think. All it takes are a few easy-to-find tools and about 10 minutes of your time. While it’s not a substitute for actually trying a saddle, it can give us a very good idea of which saddles will be worth trying, and which are absolute no-hopers. The first tracing corresponds to where the front of the tree should be on your horse’s back, and tells us what tree width your horse needs. The second tracing shows us the shape of your horse’s back where the panels (the weight-bearing surface of the saddle) will rest. This tells us what panel configuration will work best for your horse. And the third tracing shows us your horse’s back-to-wither relation, and tells us how deep the panel needs to be. Tracings are also invaluable if you’re sending us your saddle for fitting adjustments or re-flocking. In the case of fitting adjustments, it lets us know exactly where and how much adjustment is necessary. And in the case of a total re-flock, we can “customize” the flocking to your horse’s specs. – A large sheet of paper, at least 11” x 14”. (The unprinted side of a roll or sheet of gift-wrap works beautifully, or a blank file folder.) With a pen or pencil, draw a vertical line down the center of the paper. – A flexible curve, sometimes called an artist’s or drafting curve. This is a rubber-covered piece of wire which can be molded to a shape, and which will hold that shape when removed. The 24” length is preferred, and try to get one that is marked with inches (or some other unit of measure). – A black waterproof marker. – A piece of chalk in a color which contrasts clearly with your horse’s coat color. “Sidewalk” chalk is perfect for this or a roll of light tack brightly colored tape, such as automotive tape or painter’s tape. – NOTE: All of these supplies are available at your local art supply store, or at Staples, Office Max, or other office supply stores. 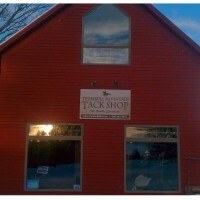 Please follow these directions carefully so we get an accurate template of your horse’s back. If the template isn’t accurate, we can’t make the correct recommendations. Before scanning, take a ruler and make a line horizontally and vertically with inch marks noted. (That allows us to line up the separate pieces of paper accurately). Then scan halves or quarters of the tracing. If you just scan the entire tracing, we are limited by paper size and it tends to cut off the shoulder area. Sending just a photo of the tracing gives us an idea of shape but not something we can measure from. Make sure your horse is on a level surface, standing squarely with his head in a normal, relaxed position. Be sure he’s tied or held so he can’t walk away in the middle of the process, and try to pick a time when he won’t be fretting about getting fed, going out, or the like. Find the rear edge of your horse’s shoulder blade or scapula. The easiest way to do this is to have someone pull your horse’s leg straight forward while you rest your hand just below the wither. You’ll feel the scapula slide under your hand. If you don’t have a partner, take your four fingers, start at the top of the shoulder and follow the curve of the scapula until you get to the rear edge. Place the horse’s foot back on the ground so he’s standing squarely. Mark the rear edge of the scapula with chalk or a strip of tape. Position the flexible curve 3 fingers’ width behind your horse’s shoulder blade, using the chalk or tape mark as a guide. Be sure that the center of the curve rests on the center of your horse’s spine, and check to be sure it’s positioned correctly on both sides. Mold the curve to your horse’s shape, and use the chalk or tape to mark the front edge of the curve (the part nearest the mane. Remove the curve carefully and place it on the paper, with the center of the curve on the penciled line. Remember which side is right and which is left (the easiest way to do this is to take the left side in your left hand, and the right side in your right hand). Without changing the shape of the curve, use the black waterproof marker to trace the inside of the curve (the part that rested against your horse’s back). 1) Mark which side is right and which is left, and mark this tracing “#1”. 2) NOTE: Don’t be surprised if your horse is asymmetrical. This is very common, particularly in youngsters or horses who haven’t been getting consistent, correct training. Remember to mark the front edge of the curve on your horse’s back with the chalk or tape. Place the curve on the paper below the first tracing, and trace the inside of it with the marker. Mark this tracing “#2”. Place the curve on your horse’s topline, in the center of his spine, with one end at the base of his mane. Mark this tracing “#3”, and be sure to note where tracings 1 and 2 were taken. And there you have your completed set of tracings!